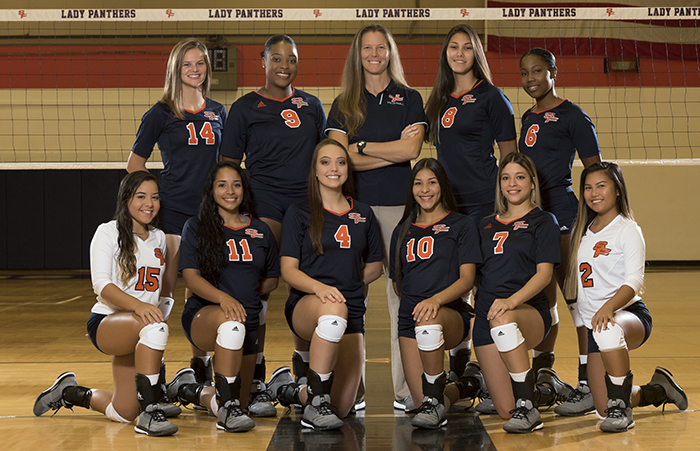 2018 Lady Panthers: (Back row, left): Morgan Maddox, Diamond Williams, Coach Kim Crawford, Marina Suguimoto, and Monet Butler. (Front row, left): Jeysamar Velez, Rosalinda Rosario, Emma Rustenberghe, Lizmary Monges, Camila Morges, and Mahalia Valmores. Welcome to the home of the fighting Lady Panthers! Welcome to Panther Volleyball 2018. We are excited about the season ahead as our players and coaches have been working extremely hard once again in anticipation of another outstanding year in Panther Athletics. South Florida State College takes great pride in our tradition of athletics, and is extremely grateful for the continued support our student/athletes receive from our outstanding fan base, and our dedicated administration, faculty and staff. Thank you for visiting the SFSC Athletics, and we look forward to seeing you at an event in the near future! Thank you for your support. Go Panthers!